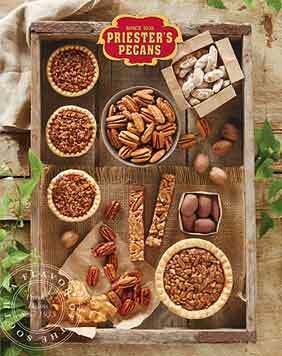 With their superior size and world-famous quality, Priester's pecans are anything but ordinary. One taste proves it. 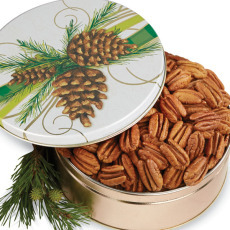 After shelling, we select only the Extra Special Super Mammoth Pecan Halves that meet our strict standards and tuck them in our signature gold gift tin. A thoughtful gift for clients, business associates, friends, and neighbors that's so good, you'll definitely want one for yourself, too. 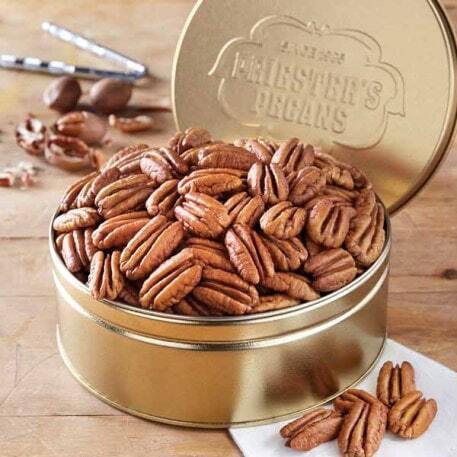 With their superior size and world famous quality, Priester's pecans are anything but ordinary. One taste proves it. 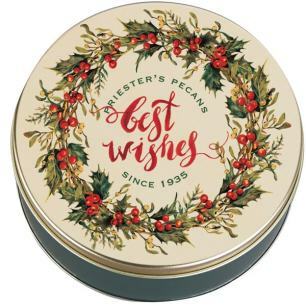 After shelling, we select only the Extra Special Super Mammoth Pecan Halves that meet our strict standards and tuck them in our festive holiday gift tin. A thoughtful gift for clients, business associates, friends and neighbors that's so good, you'll definitely want one for yourself, too. I send these to friends every year! Every year they send me glowing reviews! Based on their comments, you always deliver a high quality product! 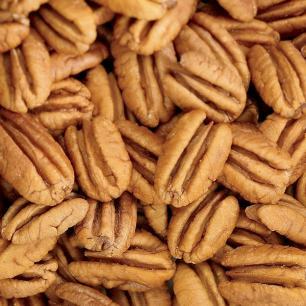 After being spoiled by Priester's extra fancy mammoth pecan halves over the last several years, I can no longer eat the puny, rancid, shriveled things that other stores call pecans. I appreciate good quality and a dependable product, and Priester's continues to provide that consistently with their products. 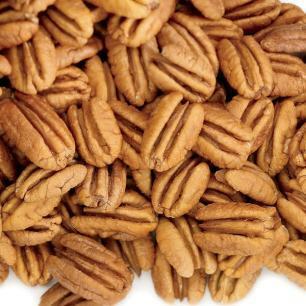 The Super Mammoth Natural pecans are by far and away the best tasting pecans in the world. Simply the Best. Copyright © 2019 Priester's Pecans. All Rights Reserved.